What makes a community, especially a religious one, educationally backward? The number of complaints received by the National Commission for Minorities (NCM) has gone down over the last three years, the government told the Lok Sabha on Wednesday. Minority Affairs minister Mukhtar Abbas Naqvi, in a written response to a question, said that on receiving complaints, the NCM takes appropriate action as per provisions of the NCM Act, 1992, and the procedure adopted by it. As mandated under Section 9 of the Act, the commission has been taking up cases regarding deprivation of rights and safeguards of the minorities with the authorities in the concerned state governments or the central government, he said. 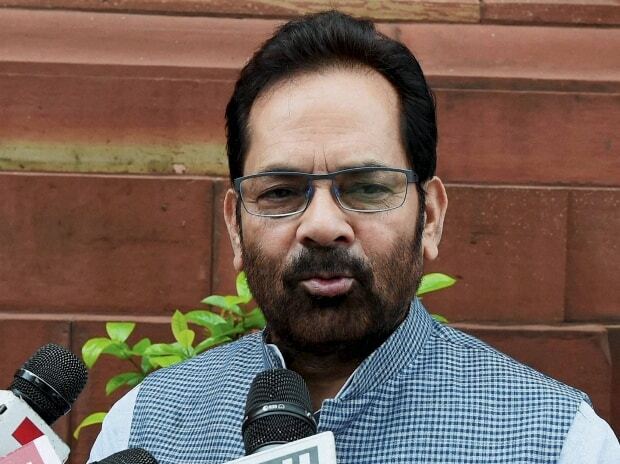 There has been no increase in complaints received by the NCM over the last three years, Naqvi said to a question on whether there as been an increase in the number of complaints to the minority panel. The minister also gave details of the complaints received by the NCM in the last three years. In 2015-16, a total of 1,974 complaints, including 1,437 by Muslims and 144 by Christians, were received, and out of those 1,960 were disposed off. In 2016-17, a total of 1,647 complaints, including 1,231 by Muslims and 102 by Christians, were received, and out of those 1,607 were disposed off. A total of 1,498 complaints, including 1,128 by Muslims and 100 by Christians, were received in 2017-18, and out of those 1,384 were disposed off. In 2018-19 till December 13, a total of 1,342 complaints, including 952 by Muslims and 106 by Christians, were received, and out of those 253 were disposed off.